Forty Toes: WINNER of Cinnamon Girl Studio GIVEAWAY! 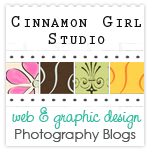 WINNER of Cinnamon Girl Studio GIVEAWAY! Please email me within 48 hours to claim your prize at jennmanderson@yahoo.com or another winner will be chosen.